Saving for a down payment requires descipline & determination, whether you’re working towards saving for a minimum downpayment like most first-time homebuyers or 20% down. Here are a few strategies that will help you to get started with saving. If you are at the stage of working out your downpayment strategies towards homeownership, it’s time for a meeting with the team at MiMortgage.ca. Contact us at 1 866 452-1100 or apply online now! Categories: Homeownership, Mortgage Brokers, Mortgage Rates, Saving Money, Your Home, Your Money | Tags: downpayment strategies, First time home buyer, First Time Home buyers, homebuying, homeownership | Permalink. If you are looking to purchase a home in Canada, the minimum downpayment requirement to purchase is 5 percent up to a purchase price of $500,000. For purchases over $500,000 but less than $1,000,000 the mortgage lending requirements changed in 2016. You are now required to have a minimum downpayment of 5 percent for the first $500,000 and 10 percent for the balance amount. Looking to buy a home and need help with understanding the downpayment requirement and insurance premiums? It’s time to get in touch with the team at MiMortgage.ca. Call us at 1 866 452-1100 to speak to an expert or apply online now! There’s lots of perks for owning your own home – monthly payments you make will be towards paying off your mortgage instead of paying a landlord, build home equity, become a part of a community and you can decorate the way you want! Here’s what you need to know, to get started..
To find out more about how much you can qualify for, get in touch with the team at MiMortgage.ca. Call us at 1 866 452-1100 to speak to an expert or apply online now! Categories: Homeownership, Maintaining Good Credit, money, Mortgage Brokers, Your Home, Your Money | Tags: homebuying, Homebuying for beginners, homeownership | Permalink. Unless you’ll be there for good, you’ll want favourable rates and terms should you want to port your mortgage from one property to another. These key mortgage features don’t fit in a rate ad. And… this is where the rubber hits the road in building the right mortgage. Catch yourself looking at low online rates? It’s time to come in for a chat with an expert at MiMortgage.ca; let’s have a conversation about building your custom interest-saving mortgage! Think that mortgage rates are suddenly very confusing? It’s not your imagination. New Canadian mortgage rules have changed the way lenders operate in Canada. The good news is that you’re in good hands; the team at MiMortage.ca will help you understand what’s changed, and can get you a mortgage under those rules that is right for you. Here’s a quick explanation of what’s going on with Canadian mortgages right now. Firstly, understand that there are different kinds of lenders: big banks, small banks, and a wide range of non-bank lenders. As a mortgage broker, of course, we work with them all. But their business models are different, and that’s a clue to what’s going on in the market. 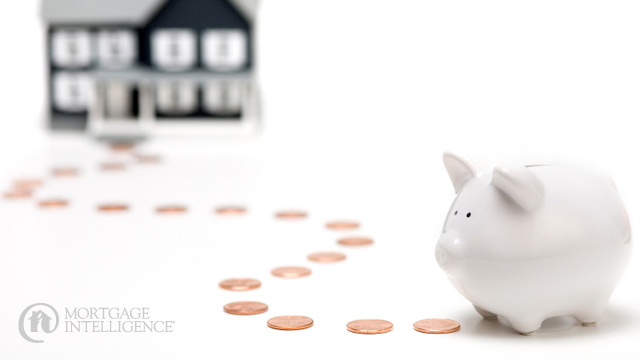 Think about where the money comes from when your lender gives you a mortgage. The banks – both big and small – get money from deposits. They have the ability to loan from their deposits, and hold the mortgage for the full term if they choose. They’ve got money coming in, so they can invest in money going out: like a mortgage. It’s called “balance sheet lending”. And it comprises some – but not all – of their mortgage business. Non-bank lenders don’t take deposits so they get their money from investors in the financial marketplace. When they fund a mortgage, they will “securitize” it, and sell it off to an investor. That process gives them their supply of funds. It’s smart business. It’s so smart, that the banks do it too for some of their mortgages. The new mortgage rules are designed to protect the housing market and the financial well being of Canadian homeowners. But they reflect a different approach to risk, which has resulted in pricing changes, even for the best clients. Homebuyers who are looking to borrow less than 80% of the value of their home are dream clients for a lender. But an LTV of less than 80% is a magic threshold for clients because they no longer need to pay for “default insurance”. So lenders would purchase bulk insurance on these mortgages, which was inexpensive and kept investors happy. 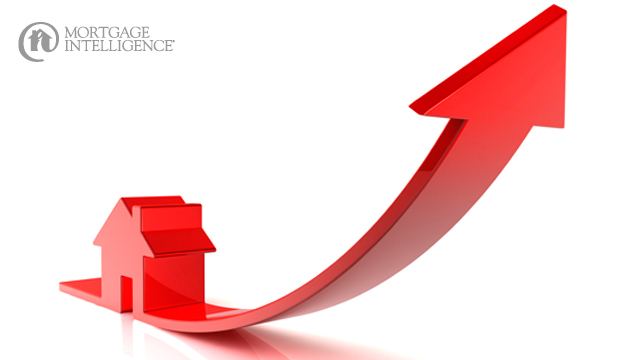 Last October, however, new rules made insuring these low LTV mortgages much more costly. And refinances and certain other mortgages are not even eligible for insurance anymore. Suddenly, mortgage lenders have more risk and/or higher costs. For the mortgages that banks hold on their own balance sheets, the new rules had another wrinkle: the requirement to set aside more capital to use in case there are losses in the mortgage market. That’s money safely tucked away – and not available to invest. For a bank, that’s a lost opportunity that affects the bottom line. You can guess the rest – any extra cost, risk or lost opportunity for the lender… are passed along to you through a higher rate. That doesn’t mean that you are a less worthy borrower than you were a year ago. The lenders are still incredibly sound, and your perfect mortgage is still out there. Mortgage pricing is just more confusing and getting an expert from MiMortgage.ca working with you is now more important than ever!